Henna Powder by Thaimid Trading & Solutions. Supplier from Thailand. Product Id 748050. Tierra Overseas is supplier of henna in India. Henna is a tall shrub or small tree, standing 1.8 to 7.6 m tall (6 to 25 ft). It is glabrous and multi-branched, with spine-tipped branches. The leaves grow opposite each other on the stem. They are glabrous, sub-sessile, elliptical, and lanceolate. It is also known as hina, henna tree, mignonette tree, Lawsonia alba Lamk, Samphire, Madayantika and Egyptian privet. Henna flowers are white and fruits are small, brownish round capsules. 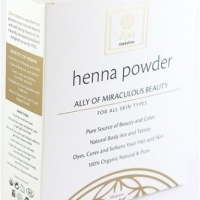 We have 100% Natural dry Henna Powder. It’s lawsone contain is around 2.26-2.6 %. We manufacture henna with high lawsone content because of this it gives dark color. Our henna is free from the chemical called: Para-Phenylenediamine [PPD]. We process henna in by meshing it twice and then finely sifted with cloth to make it fine powder. Improves hair growth and act as a best supplement and hair tonic. The combination of henna powder and mustard oil is an excellent remedy for hair fall. Henna powder is a deep conditioner that gives excellent look to hairs Using henna regularly hair cures dandruff and prevents it from coming back. It also controls scalp itchiness Henna powder is also found to act as anti-bacterial and anti inflammatory agent. Henna Powder is also useful to relieve headache It also found to cure Joint pains Useful in leprosy and other skin disorders Act as a sedatives Reduces blood pressure and speed healing or bruises and burns Henna seed and bark is also used as an astringent in deodorants, to help with insomnia, and help detox the liver and encourage and healthy spleen. 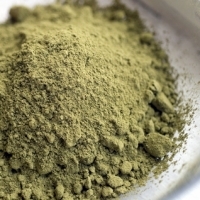 Henna Powder made from pure herbal leaves and rare Indian herbs used for hair conditioning and treatments. Regular use of herbal henna naturally conditions hair and gives strength and shine to the hair. Medicinal value of Henna and other ingredients take care of all scalp disorders. It acts as hair vitalizer and helps hair growth and health. 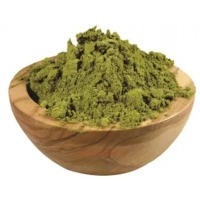 Â Henna powder in its pure and natural form is a bright or deep green, khaki or brown. The color produced by pure natural henna ranges from orange to red, to black cherry and near black color. Henna powder quality produced by our company is determined by its color, purity, its dyeing property & fineness. Our herbal henna is the most common and user friendly way to color hair. Henna Powder Being a customer centric organization, we are involved in manufacturing, exporting, trading and supplying a supreme quality range of Nature Henna Powder in Jodhpur, Rajasthan, India. Henna the plant scientifically known as Lawsonia Inermis. 100% Natural and Chemical Free Henna. Henna application on hair is for nourishment and natural coloring of hair. We are producing 100 natural products without any Chemicals, PPD, Salt or Metallic Additives. We produce 100 Natural Product and Safe for Skin. Furthermore, we provide this henna powder at very nominal rates. Henna powder is usde for the hairs and buity parlour. Search More Like "Henna Powder"